Plug-n-Show - Includes pixels, controller, power supply, enclosure. High quality MeanWell Power Supply ( extend temperature operating range ). CAN BE EXPANDED TO 1600 PIXELS! 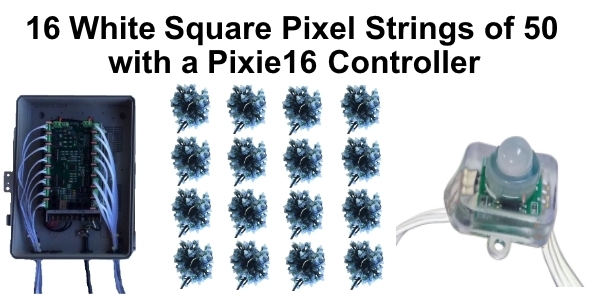 Purchase 16 additional strings of 50 square pixels. The S5 PRO Version of the Light-O-Rama Software Suite is recommended. Please allow 4-6 weeks for delivery of sale items.